Read our Trial By Laughter review from The Watermill Theatre, Newbury. Ian Hislop and Nick Newman defend freedom of the press in their new comedy, Trial by Laughter, that takes inspiration from real life events. The satire, based on their BBC Radio 4 drama of the same name, is a follow-up to their hit WWI drama, The Wipers Times, which won critical acclaim both in the West End and on a national tour. Trial By Laughter will be developed with The Watermill Theatre before playing at the venue for six weeks in September and then embarking on a brief, UK tour. In 1817 bookseller, publisher and satirist William Hone, stood trial for parodying religion, the despotic government and the libidinous monarchy. The only crime he had committed was to be funny. In 2018, the satirists Ian Hislop and Nick Newman, rediscover this forgotten hero of free speech, and ask if, just over 200 years later, our press has any greater freedom. 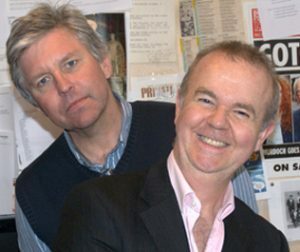 Satirist, writer and journalist Ian Hislop has been the editor of Private Eye since 1986 where he works alongside life-long friend Nick Newman, an award-winning cartoonist and writer. As a scriptwriting duo, Ian and Nick’s work includes five years on Spitting Image (ITV), Harry Enfield and Chums (BBC Two), and My Dad’s The Prime Minister (BBC One), as well as the film A Bunch of Amateurs and The Wipers Times, which won the Broadcast Press Guild Award for single drama, and was nominated for a BAFTA. Trial By Laughter is Ian and Nick’s third play to be developed with The Watermill Theatre. Ian Hislop and Nick Newman said: “In an age of ‘fake news’ and increased censorship, free speech and press freedom are still under threat as they were 200 years ago when William Hone took on the might of royalty and a bullying Tory government. “Hone dared to ask ‘Is laughter treason?’ – raising issues which are as relevant now as they were then. 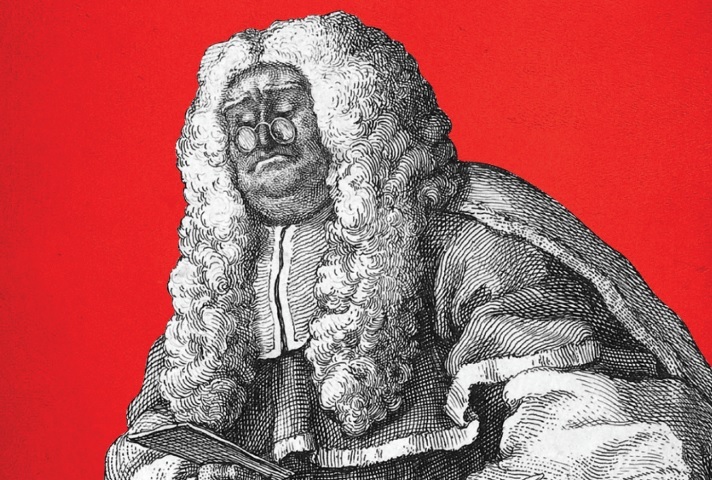 It’s a tale of lawyers, lechers and libel – with added sedition and blasphemy. Trial By Laughter is a Trademark Touring, and Watermill Theatre production, and is directed by Caroline Leslie. Buy Trial By Laughter theatre tickets through one of our recommended theatre ticket websites.